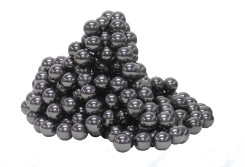 Assorted size spherical magnets - range in size from 5/8" diameter to 7/8" diameter. Make great buzz magnets and are round enough to roll. Price is per magnet. Sorry, no size selection.